The Class B motorhome concept was born in the early 1970′s when the RV industry decided to classify van campers as a new motorhome category. Production of Class B motorhomes doubled from 9,000 in 1971 to 23,000 by 1972. The fuel shortage of the early 1970s may have contributed to this increase because by 1977 over 40,000 had been built. In the 1980s gas prices decreased and the economy started to rebound, setting a trend towards the popularity of bigger recreational vehicles. RV manufacturers started pushing Class A and Class C motorhomes, creating a negative impact on sales for Class B motorhomes; resulting in a sales market and production decline. Many factories building Class B RVs either stopped producing them or went out of business all-together. 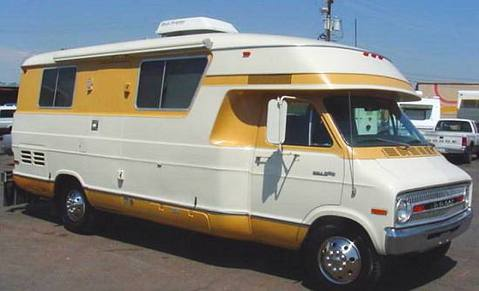 Class B motorhomes have come a long ways since the 1970s. 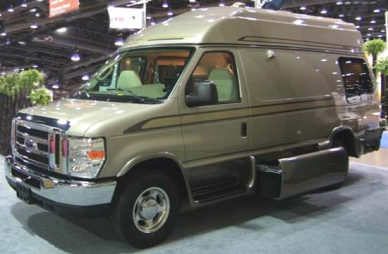 Today Class B motorhomes have a much more aerodynamic look and are built on a VAN CHASSIS produced by Ford, Chevrolet, GMC and Dodge. Most have a top extension providing more headroom and some even include basement storage, as seen in this photo which shows a GreatWest Class B van. Safety is a big concern with most RV consumers and Class B motorhomes rate very well in this area. With driver and passenger air bags, tire pressure monitoring systems and rollover protection features built into most Class Bs, it all adds up to a safe driving experience.Class B motorhomes have sleeping space for two, though despite a tight fit, some models can accommodate up to four people. They are best suited for weekend trips and are not intended for full-time use. Today Class B motorhomes sales are on the rise because of high gas prices, advancements in technology and better use of space. Another important selling feature is maneuverability; they drive much like a truck or SUV. Just like a Class A motorhome, a Class B is a self-contained unit in which the driver’s compartment flows contiguously into the living area. Class B motorhomes include sleeping, kitchen and toilet facilities, a 120-volt hookup, freshwater storage, and city water hookups. Most Class B motorhomes contain a sofa that converts to a bed and a dining area (often with a dinette that converts to an additional bed). These small motorhomes may also boast built-in televisions and stereo systems. As an added benefit, Class B motorhomes come equipped with a powerful gasoline or diesel engine that enables them to tow small trailers loaded with recreational toys such as jet-skis, motorcycles and all-terrain vehicles. Our Motorhome Comparison Guide will assist you to better understand, in further detail, Class B motorhomes and to determine if a Class B is perfect for your needs. 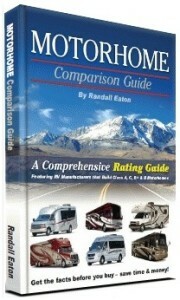 When you buy our book you’ll be provided with all the tools and information you need pick a top rated RV company and a high quality model. Purchasing tools that can save you not only hours of research, but thousands of dollars as well.